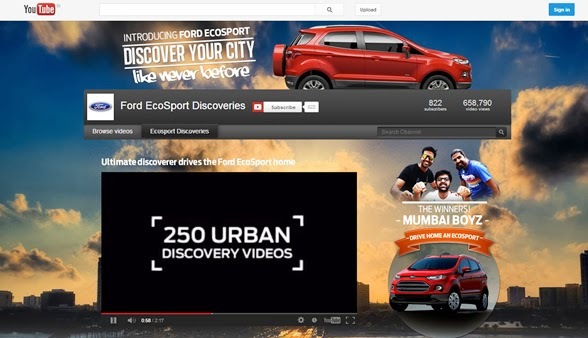 The Ford EcoSport Urban Discoveries campaign that was flagged off end of March and ended last month, brought together 31 short-listed teams exploring 12 cities in India through a fascinating contest. At the first level, the contest required participants to submit their urban discoveries and hotspots on the campaign site. Selected participants were then asked to create teams of 3, explore their city in the Ford EcoSport and share videos of their discoveries. RJ Mantra was roped in to keep the excitement going through blog posts and video intros. A special feature-rich video zone was created on YouTube which not only collated all the discovery videos but also had Google Maps, Twitter and Facebook plug-ins. 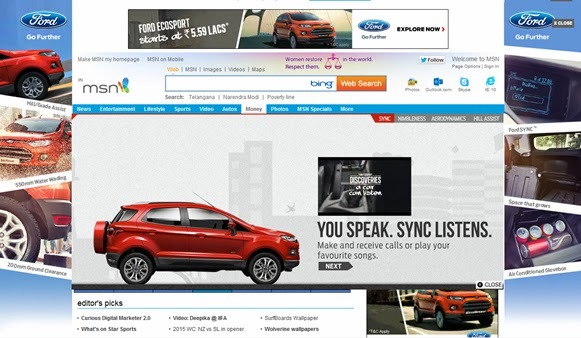 An interactive application showcased the unique specifications of the SUV. Web promotions include YouTube Lite Masthead to drive audience to the brand channel and home page takeovers across portals. 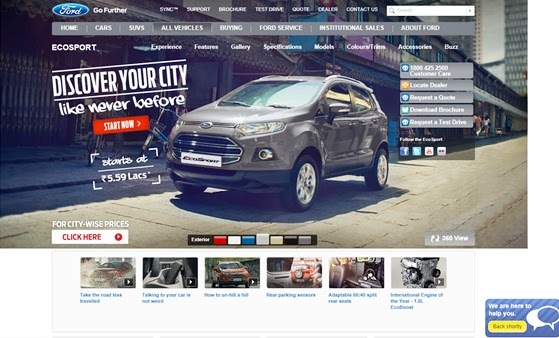 Ford EcoSport is being projected as an 'urban SUV' with great manoeuvrability and features that enhance city driving experience. What better way to drive the communication than to get people to share their experiences through video content and create real & local conversations.